Dallas, Texas, October 18th, 2012. The patients and families of THERAPY 2000 will be taking over the field at Dr Pepper Ballpark in Frisco, Texas (Dallas North Tollway and Gaylord Pkwy) on Saturday, October 27th,2012 from 1:00 pm to 4:00 pm for a day filled with ghoulish games and fun! These special needs children are significantly impaired and have very limited access to community activities. On October 27th, these patients will have an opportunity to play with other children in a safe and open environment. Their families will get to interact with other families who share their same struggles. There will also be fun fall field day activities, such as a bucket relay race, parachute play, a balloon artist and arts and crafts – just to name a few! The SPCA of Texas will be on hand with their Compassion Connection therapy animals. 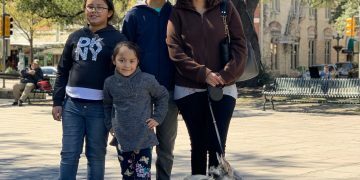 The SPCA of Texas’ Compassion Connection is a special program designed to enhance the mental, physical and emotional well-being of individuals by affording them the opportunity to spend time with trained SPCA of Texas volunteers and their pets. Everyone is also encouraged to come in costume. Volunteer speech, occupational and physical therapists will be readily available in order to ensure that the patients’ health and well-being is the first priority. THERAPY 2000 provides occupational, physical and speech therapy services to children from birth to 21 years of age with special needs, including disabilities, developmental delays and autism spectrum disorders. We love what we do! Our mission is to improve the lives of everyone we work with, including our valuable patients and families as well as the therapists and staff who work within the company.